Do you have a long list of sales & marketing tasks you tell yourself you “should” be doing, but somehow never get around to doing? Are you the one who’s mostly responsible for making the sales in your small business, but you’re not very good at it and you don’t even really want to get better? Have you ever gotten gung ho about some new initiative in your business, only to have the whole thing grind to a halt a short time later, leaving you a miserable pile of disappointment or frustration? While these may sound like a pretty wide array of problems, they’re all symptoms of one phenomena: Sales Wounds™. 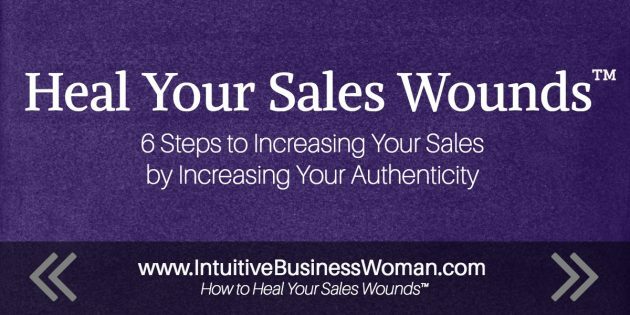 This article starts off with a checklist of specific symptoms that all may be indications you’re suffering from a Sales Wounds flare-up. 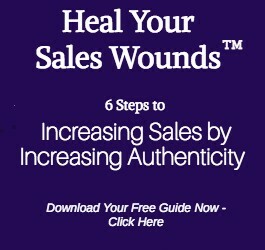 To read more detail about each of the 6 Primary Sales Wounds™, scroll to the end of this article. Sales Wounds are the limiting beliefs we all hold about money, salesmanship and success. And when these Wounds, or beliefs, flare up they can be debilitating. • You feel generalized anxiety, sadness, loneliness or depression, unrelated to anything going on in your life. • You give a lot more than people paid for, and often end up feeling resentful. • You let people cancel on you with no penalty. • You start to think no one wants to hear what you have to say, or that other people are a whole lot better at saying it than you are. • You procrastinate, or find yourself frittering away your day on low-impact tasks. • You stop sending your newsletter, or doing other kinds of outbound marketing. Sometimes it’s enough to just recognize that you have Sales Wounds. But to learn more about each individual Sales Wound, click the links.